I have some VERY exciting news!! A few weeks ago FoodBuzz and Bertolli Sauce had a contest. 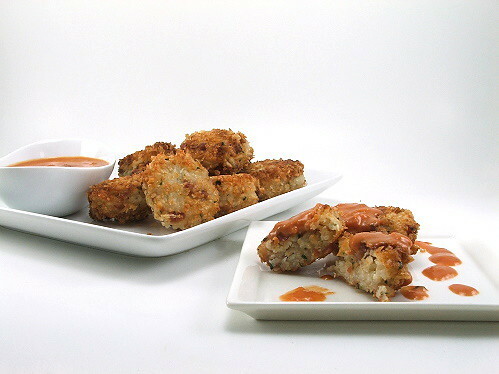 They wanted two menu items, an appetizer and a main dish, that used Bertolli Sauce products. The winners would have their travel and hotel accommodations paid for to the First Annual FoodBuzz Festival. How awesome is that? 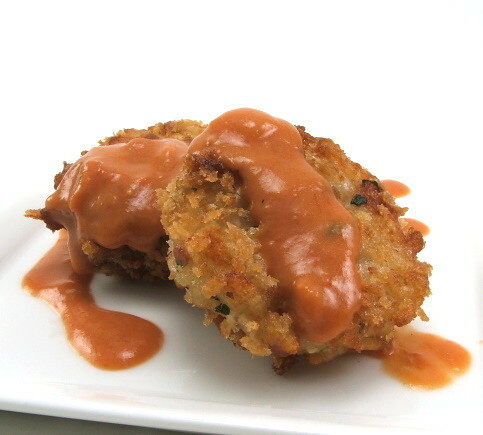 The chef’s at Bertolli Sauce selected eight winners, and I am so pleased to let you know that one of my menu items, Pancetta Risotto Cakes, was selected! Now, for a little about my menu item. 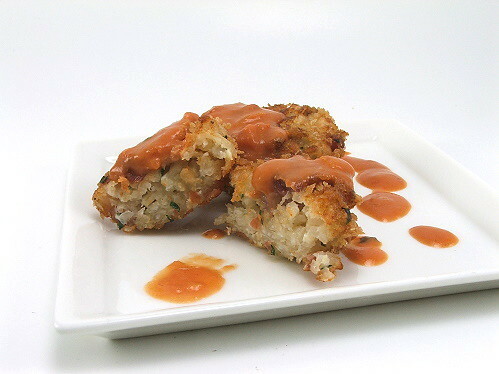 I created a Pancetta Risotto Cake. I combined creamy risotto with pancetta, shallots, garlic, parmesan cheese, and a bit of ground red pepper. 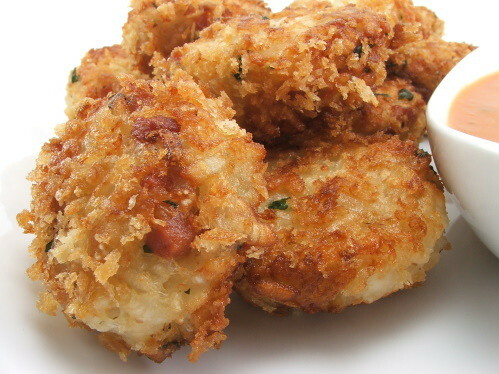 The mixture is cooled and formed into cakes, dipped in crunchy panko bread crumbs, and lightly fried in Bertolli Extra Light Olive Oil until golden brown. They are served with Bertolli’s Vodka Sauce and fresh torn basil. I wanted something elegant but fun, and I wanted something that you could use in a variety of ways and that would appeal to a variety of tastes. More than anything I wanted something that is not a chore to prepare. With the holidays rapidly approaching I knew whatever I created would need to be something I would not hesitate to make at that time of year. These cake take, excluding chilling time for the risotto, about an hour to make. 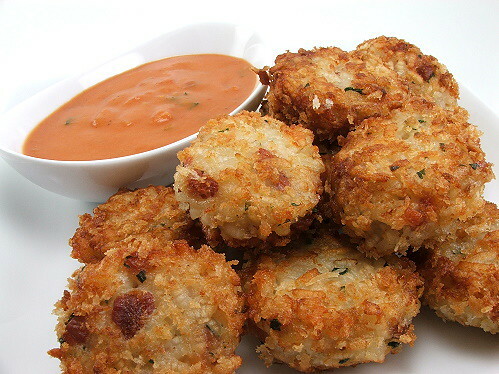 These risotto cakes make a satisfying main course with a green salad or some roasted vegetables, but they are also lovely served as finger food at a cocktail party. You can prepare the risotto mixture as much as to two days in advance and then all you have to do on the day of your gathering is shape, bread, and fry them. I love food that I can make ahead … again I am thinking of the Holiday’s. I know you are all asking, “But Kelly, where is the recipe?” Sorry folks, but for now it is under wraps. I hope to get to share it with you soon!